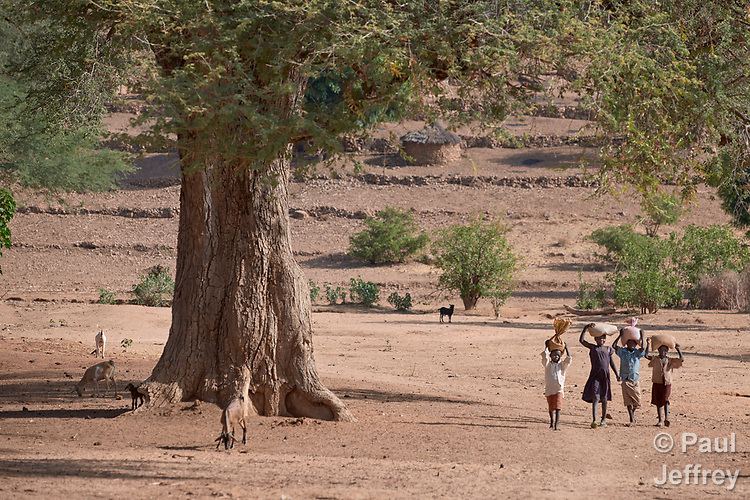 Children walking in Kauda, a village in the Nuba Mountains of Sudan. The area is controlled by the Sudan People's Liberation Movement-North, and frequently attacked by the military of Sudan. The Catholic Church sponsors schools and health care facilities throughout the war-torn region.